I love to garden. Noting is better than a day spent reaping the benfits of my efforts. I love many types of plants. 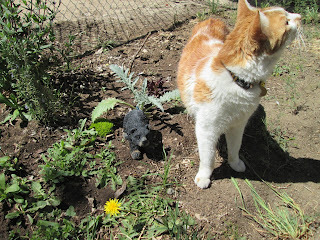 One of my favorite bedding plants is Lamb's Ears. The grey leaves are soft and fuzzy - hence the name. Shoots of stalks with tiny purple flowers srpout in the late spring but I grow this species for the foliage. I love roses of all types but my favorite bedding roses are miniatures. My garden beds always have minis scattered about. 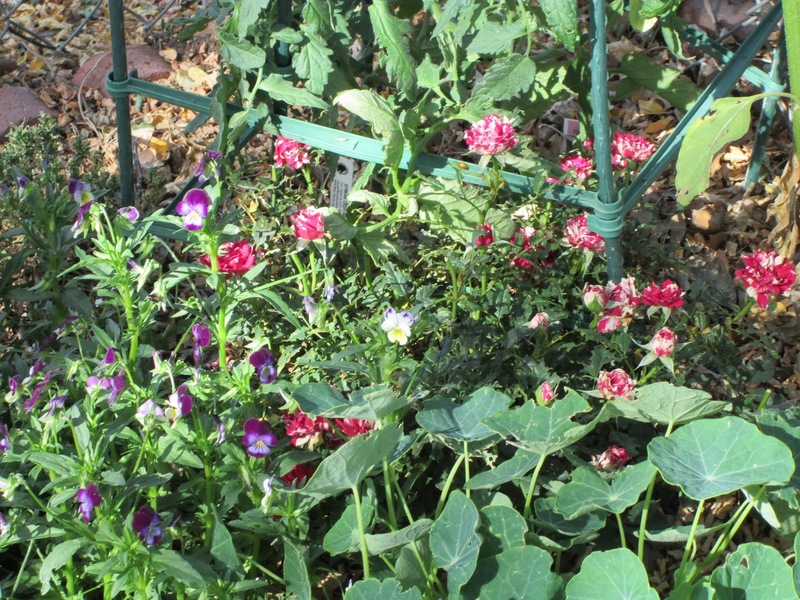 this season, the color varieties include red, yellow, white,pink, and bi-colors. I have two ancient roses: the Apothecary (or Gallica) and Rosa Mundi (a sport of the Gallica). To me, a full-size rose MUST have fragrance. 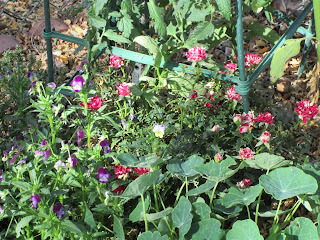 My garden also includes two Flower Carpet roses: one in pink and one is red. I mix California poppies and Sunflowers for a splash of color. The poppies self-seed. I absolutely LOVE the dianthus family. Pinks have taken to the yard with a joyous abandon. Last season I put in a pink carnation that has a delicious clove scent. Pinks come in an incredible amount of colors and forms. So far, they have come back every year since I planted them. The same goes for the snapdragons. Violas and pansies are important fillers. Both the large pansies and their smaller cousins, violas, come in a wide variety of colors and patterns. The pansy flowers are edible and can be washed and put in salads for a nice bit of 'wow'. 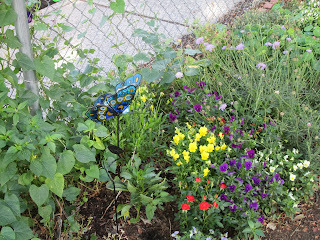 I also use nasturtiums, sweet peas, and morning glories as fillers and vines to climb the chain-link fence. One of the basic plants for my garden is sweet allysium. 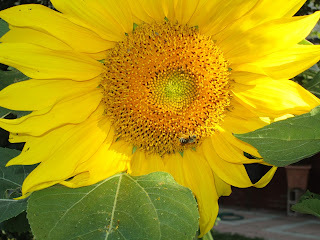 The flowers are sweetly scented and attract both bees and butterflies. 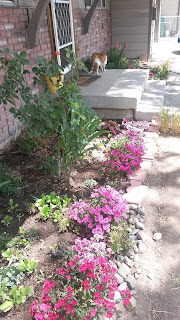 My garden includes rose, purple, and white varieties. I plan for the future by planting perennials. 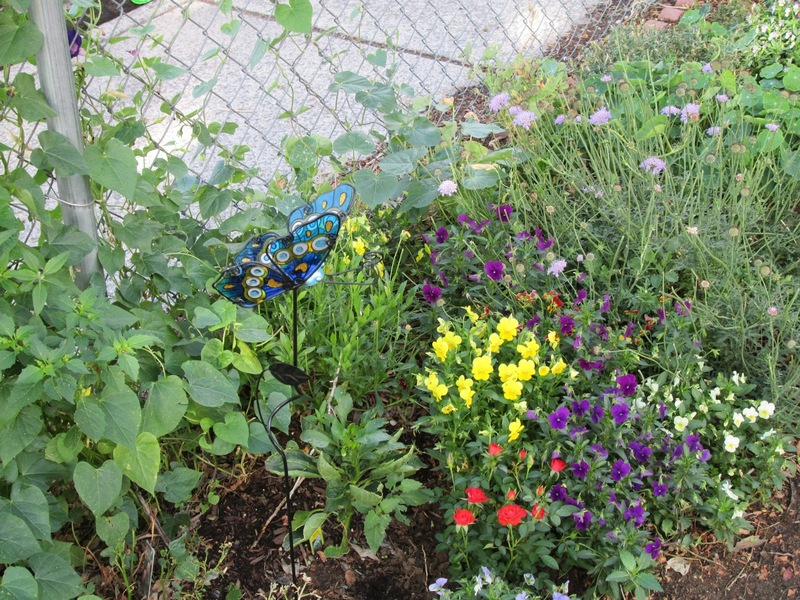 To date, the beds include bleeding heart, mandevilla, hibiscus, bee balm, and spirea. 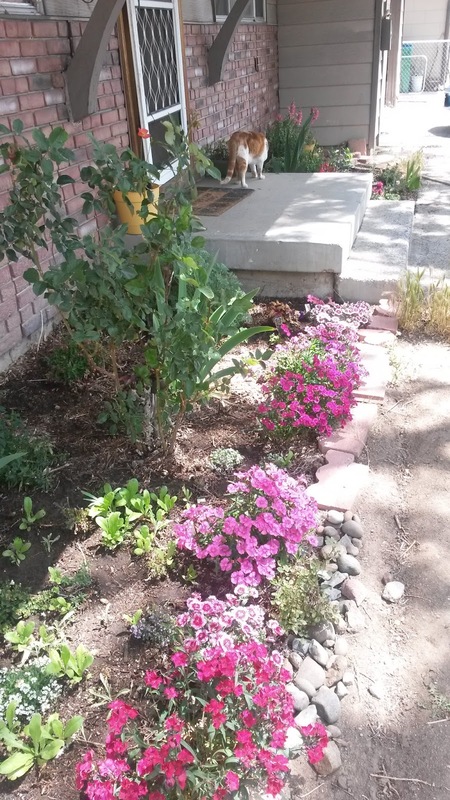 All of these plants have lovely flowers that attract bees, butterflies, or hummingbirds. Two colors of lilies (heavenly scented) are familiar sights in the summer. Daffodils, narcissus, tulips, and iris herald the start of spring. I mix in vegetables and fruits in my beds. This year the species include a pumpkin, different tomatoes, strawberries, a blackberry bush, strawberries, artichokes, cabbage, lettuce, bellpepper, and herbs. Growing fresh herbs is a must for any garden. 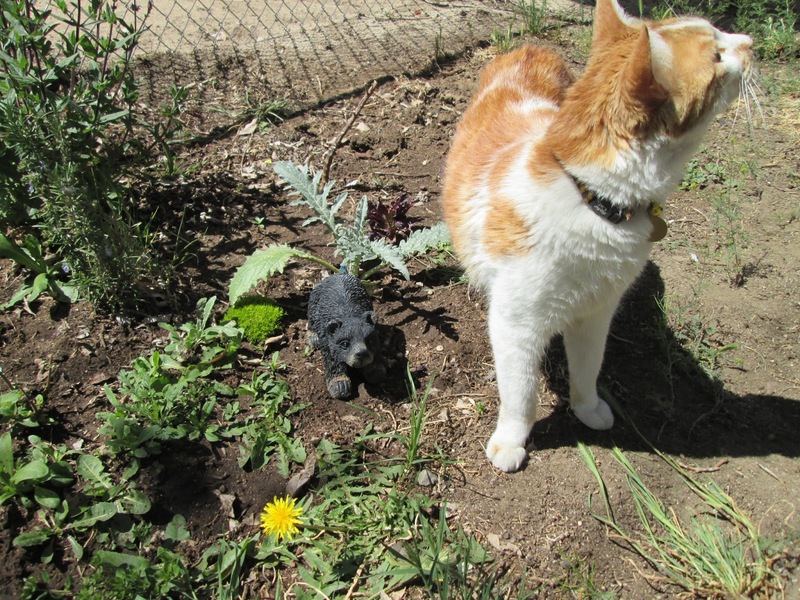 Mine includes sweet basil, tarragon, pineapple mint, spearmint, parsley, dill, catnip, and rosemary. Every year I add more plants to the four beds. A lawn is planned for the fall. Getting dirty is fine with me. The results are worth it!